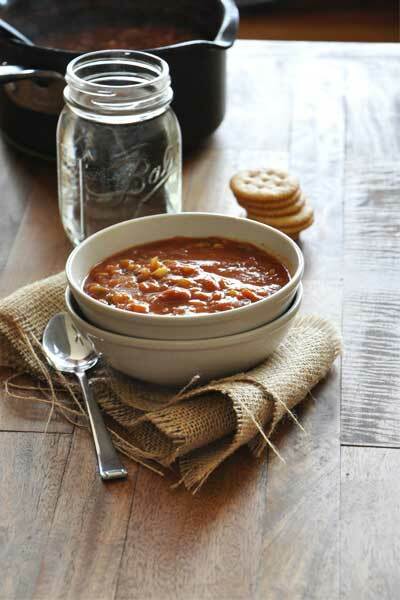 When it comes to a brisk fall day, nothing sounds better than cozying up inside with a blanket, a cup of tea and a warm bowl of chili. Chili was a mainstay in my household growing up, and it continues to be now that I’m married and off on my own. 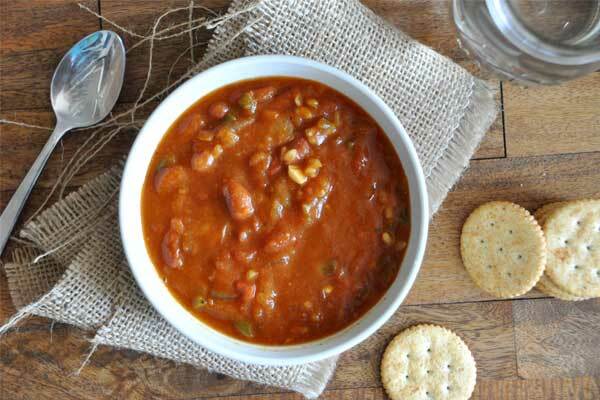 Because there are so may varieties of chili it’s hard to pick just one favorite, especially when many argue that true chili doesn’t have beans while others content vegetarian versions are the best. 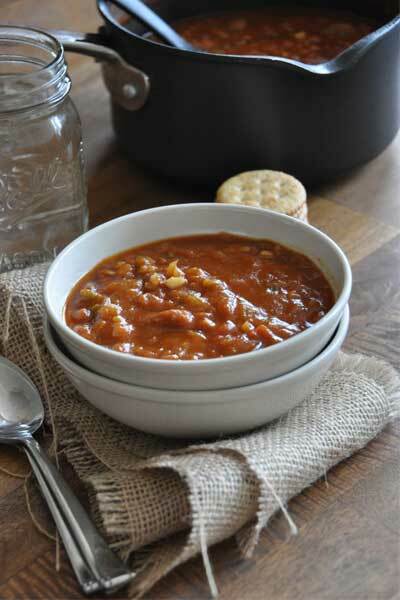 While I have tried a number of variations and admit that the hearty, meat-containing types really satisfy my deepest chili cravings, this vegetarian variety quickly wiggled its way into my heart as a new healthy favorite. At first when we think pumpkin we think pie, which is about the furthest food category from chili you can possibly get. But once you get past your reservations and dabble into the savory world of pumpkin, you’ll start to appreciate recipes like this pumpkin chili. I was hesitant at first, scooping the pumpkin puree in with the chili powder and diced onion. But once I started stirring and noticing the vibrant aroma and the creamy texture it created, I was more than willing to have a little taste. Some things you’ll love about this recipe are that it comes together in less than an hour and contains heart-healthy ingredients like bell pepper, garlic, onion, pumpkin puree and brown rice. It’s also loaded with fiber thanks to plenty of kidney beans, which will keep you full hours after you’ve finish your bowl. You’ll also love that it’s extremely low in sodium and fat compared to most chilis, yet remains full of delicious fall flavor. Method | Heat vegetable oil in large soup pot or Dutch oven over medium-high heat. Sauté onion, garlic and bell pepper for 3 minutes. Add the rest of the ingredients, bring to a boil then reduce to simmer. Cook for 30 minutes. Per serving, this chili contains just 234 calories, 3 grams of fat, 296 mg sodium, 43 grams carbohydrates, 13 grams fiber, 10 grams sugar and 10 grams of protein. It also boasts plenty of vitamin A, C and calcium and iron. Top with hot sauce and crackers or fresh diced onion and enjoy!